When you look underneath your kitchen and bathroom sinks what do you see? A consumed mess of mix and match cleaners filled with chemicals and toxins that are harming your beloved family and pet’s. 90% of cancer is caused by human error. One person and family at a time let’s change the world and make it a cleaner and safer place to live. That starts with the Premium Starter Kit. Please call or text me at (859) 274-6325 to begin your wellness journey today. This Oil Helped My Anxiety! Free Online Events You Don’t Want To Miss! 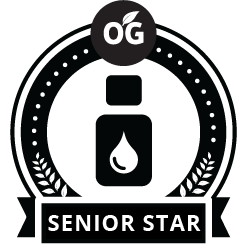 Senior Star, removing one toxic and chemical at a time. When you are out in nature you are happier and more free spirited. Why not bring that into your home with Young Living’s Seed to Seal promise. Essential Oil’s are a way of life, let me show you how. Lillian is a Mt. Sterling, KY essential oils distributor. Use the contact form to get in touch with Lillian. Want to learn more? Contact Lillian Mallott — A Mt. Sterling, KY Young Living essential oils distributor.